RCom, the pioneer in the wireless home phones, has introduced two new Wireless Home Phones with support for 3G and 4G VoLTE. The Anil Ambani-led company has added a new 3G Home Phone that comes with the assistance of Wi-Fi, whereas the 4G VoLTE Home Phone is a self-hotspot device that can connect up to eight devices at the same time. The 3G Home Phone costs Rs. 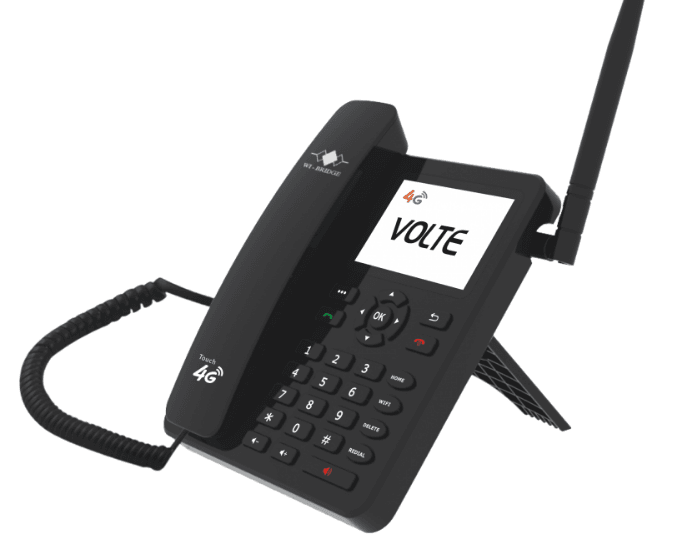 3499 and the 4G VoLTE supported Home Phone retails for Rs. 5999. Speaking of the 3G Home Phone first, it comes with a 2.3-inch TFT/QVGA display colour screen and has a built-in web browser. This Home Phone delivers HSPA-speeds of up to 7.2 Mbps download speeds and 5.76 Mbps upload speeds. You can use a GSM SIM card in this Home Phone, and you can create a Wi-Fi hotspot as well. On the other hand, RCom introduced India’s first Home Phone with support for 4G LTE and VoLTE. RCom, on its website, claims the product as “Live life Wire-Fee and Buffer-Free” with India’s First 4G LTE HomePhone.” The highlight of this phone is that it runs on Android 5.1 Lollipop OS. You can create a Wi-Fi hotspot on this home phone and can connect up to eight devices, which is a huge bonus. This Home Phone is the first of its kind to come with dual functionality, which means that it can receive 4G signals and create Wi-Fi network at the same time. With the support for VoLTE, this phone delivers rich voice calls, which will be way better than the current generation voice calls. Not only the phones are impressive, but the plans are also impressive from RCom as well. The tariff plans for these Home Phones start at Rs. 199 and goes up to Rs. 1299 offering unlimited local and STD calls along with a certain amount of data. I know Reliance coverage was very poor in 2013-2015 when I lived in Gujarat but after 2016 it has improved remarkably. I have seen areas with almost zero coverage now having full signal in Gujarat….. I think you can use it with DVR. It will have port forwarding facility which can be utilised for accessing cameras through the device WiFi. But I don’t know if it has ethernet port to connect it to DVR. And it that case you will need another router connected to DVR which is configured as an access point.